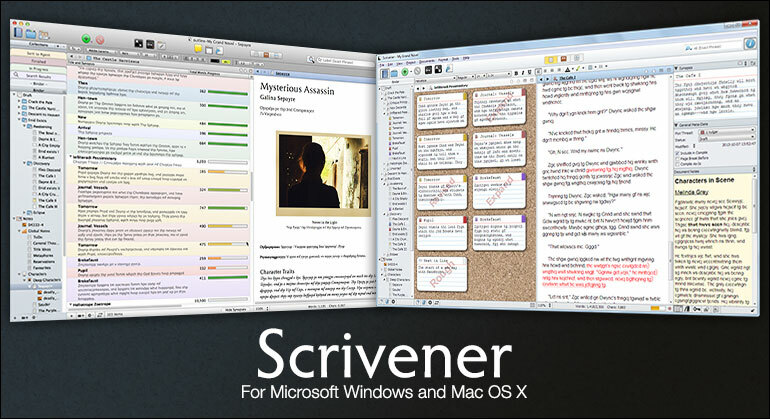 After nearly two decades of being a MS Word power user I finally decided to invest into Scrivener. I have to say I’m actually horrified at the amount of things I have to learn (according to the manual) to become prolific in this thing, but oh well, shiny coin already spent. I don’t know if I’m going to regret my decision, because I didn’t do it before I started my new book. I don’t find the experience of moving to a new software fun and not because I hate learning new things. Even this simple task of importing text threw me out of my comfort zone. 😀 Anyway, here I am, in the middle of transferring my manuscript. Good it is only some 70k. I’m actually thinking of doing the same with my previous books, just to keep them all in one place. I feel like a damn newb. So, yeah, Scrivener, challenge accepted. I’m fairly simple with my writing, doing one chapter (or a scene within the chapter) at a time. Mostly in a linear fashion, even if the story itself is not always so. It’s just how my mind works and I found it easy writing in MS Word. I wrote two LONG books like this. 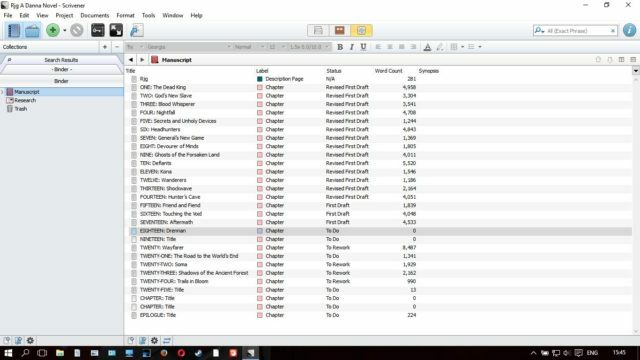 I don’t put research into Scrivener actually, now when I’m fairly familiar with it. 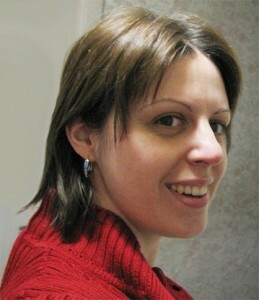 I still prefer separate files and file folders of the computer file/folder system to structure my library and work. I’m just used to doing things like this. I just know what to back up and where then, without a BIG batch of files to export every time I update something.